Reduce coolant waste up to 90%. 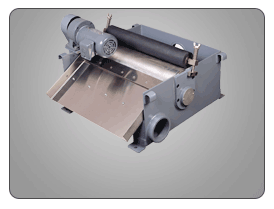 The effective solution to coolant recycling. The PRAB Guardian™ is a centralized system for recycling used coolants, reducing waste fluids up to 90%, and eliminating concerns about wastewater haul-away liabilities. Typical payback in six to nine months. The PRAB Guardian removes free-floating and mechanically dispersed tramp oils to .1% or less, eliminating concerns about wastewater haul-away liabilities. The Guardian removes tramp oils and suspended solids from contaminated coolants and controls bacteria, minimizing employee exposure to lubricants that can cause health problems and lead to medical claims. The Guardian coolant recycling system is a turn-key system that is easy to operate for minimized operator involvement and training. 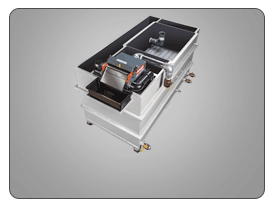 These versatile and centralized coolant recycling systems remove tramp oils and suspended solids from contaminated coolant, control bacteria and can adjust fluid concentration for fluid recovery. Each turnkey system is designed for easy installation, quick start-up, and simple, efficient operation- clearly making it the best coolant recycling solution on the market today. For a calculation of just how quickly you will pay this system back, call us for a free ROI estimate. Optional coolant monitoring and management can maximize coolant savings. Ask about the Guardian with optional AC³ concentration controller, or the Coolant Manager for complete automation of the coolant recycling process. A fully automated coolant concentration controller, the AC³ will maintain set concentration levels within +/- 0.5% accuracy. The exclusive logic built into the controller allows more or less concentrate to enter the discharge flow of the Guardian system. This comprehensive system provides the necessary intelligence to accurately and automatically inject new concentrate only as needed to maintain optimum ratios and achieve maximum tool life. 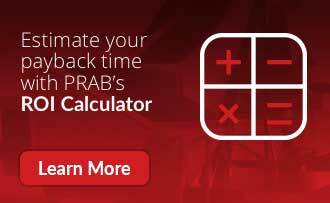 Control bacteria safely and effectively with the PRAB Coolant Manager, an ozone injection module designed to prevent coolant rancidity. The device, which is the size of a small briefcase, can maintain a sump containing up to 3,000 gallons of coolant. Ozone is the natural choice for coolant bacteria control, eliminating the need for biocide. The Coolant Manager works with all common types of coolant: water, soluble oils, semi synthetic coolants, synthetic coolants, and alkaline cleaners. 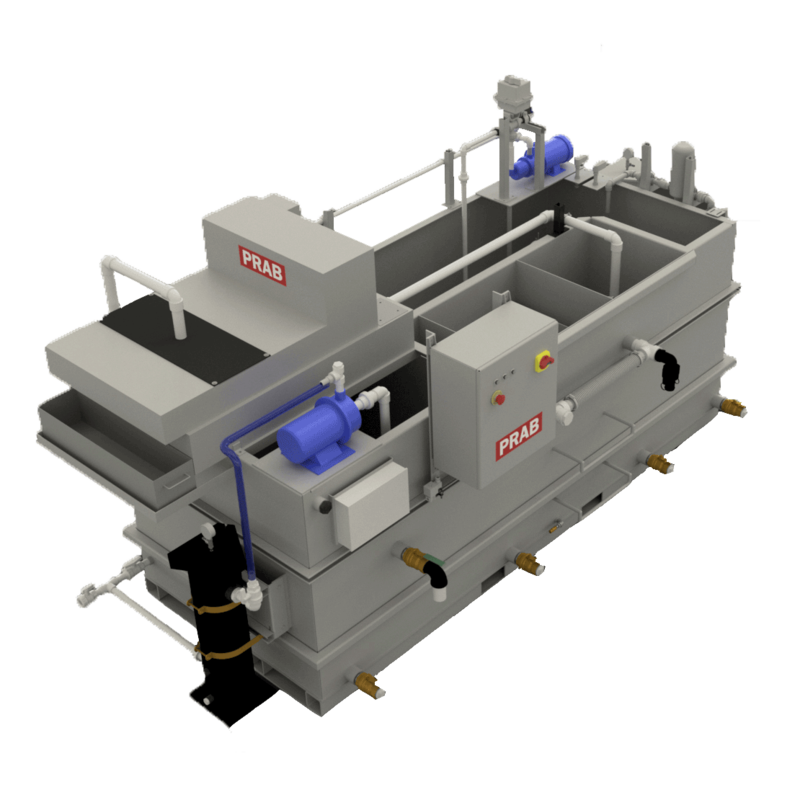 Guardian coolant recycling systems use three separate principles to recondition machine tool coolant including gravity settling, filtration, and coalescence. It is equally effective for washing compounds and other water-soluble mixtures where tramp oils and suspended solids detract from performance. See more about the Guardian in the video below.